Experience amazing wide-angle viewing and color consistency with the Dell™ UltraSharp™ U3011 30" monitor with PremierColor. 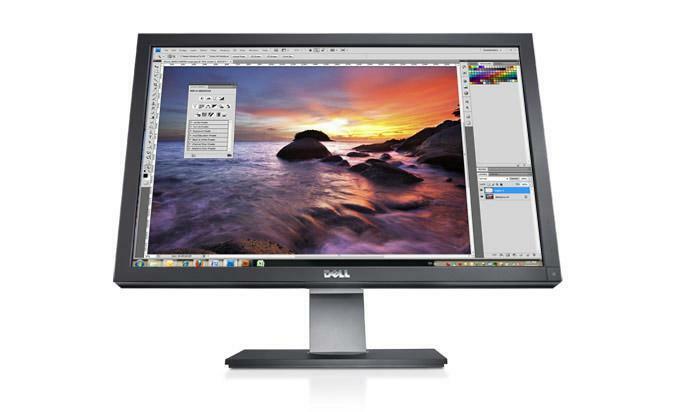 Bring your biggest ideas to life on the Dell™ UltraSharp™ U3011 monitor's stunning 76 cm (30") widescreen display area. See what you've been missing: With its 2560 x 1600 resolution and 16:10 aspect ratio, the U3011 enables a wide, generous viewing area and offers plenty of space for your windows and applications. Amazing views from any angle: The U3011 makes collaborative viewing easy, thanks to its IPS (in-plane switching) technology, which is designed to give you a bright, stable picture and consistent colors from an ultrawide viewing angle. Excellence in motion: Whether you're watching a video or creating it, a 7-millisecond (gray-to-gray) response time (typical) provides a razor-sharp, ghost-free viewing experience on moving. Over 1 billion colors at your disposal: With 1.07 billion displayable colors and a 100,000:1 dynamic contrast ratio (1000:1 typical), you can create and experience images, graphics, videos and more in brilliant, true-to-life colors. Experience rich, lifelike visuals at 117 percent (CIE 1976) color gamut (typical), and see incredible detail in grayscales. Powerful digital connectivity: Enjoy superb connectivity across PCs, game consoles and more, thanks to DisplayPort, audio connectors (supports 5.1 channel audio connection), two HDMI 1.3 and two DVI-D connectors with High-Bandwidth Digital Copy Protection (HDCP). Control at your fingertips: Easily manipulate the on-screen display with capacitive-touch switches for setup and screen optimization. Plug-and-play flexibility: Easily connect to peripherals or share content using component connections, four USB ports and a 7-in-1 media-card reader. In addition to being easy to set up and maintain, your Dell™ UltraSharp™ U3011 monitor arrives with the support features and standards to help add peace of mind long after your purchase. Under Dell's Premium Panel Guarantee, you will receive a panel exchange should even one bright defective pixel appear on the screen during your Limited Hardware Warranty* period. Peace of mind comes standard with the U3011, thanks to a 3-year Limited Hardware Warranty* and 3 years of Dell’s Advanced Exchange* Service.